I know that all too well! I think you are right about Uba...I've read about him using it on the Vick Dog Blog once or twice! It's interesting to see how different tools work for different dogs, or even how they can evolve from one walking tool to the next. I really don't miss those high energy days. Miss M used to get so excited she would redirect onto her leash and it was little me trying to hold on while thrashed around on her leash. Sometimes I would try to tackle her. Definitely not missed. I used to use a prong collar on Kaya too. I also tried a halter and she hated it/didn't work. I only used the prong for a few weeks and then she realized what I expected of her so I didn't need it anymore. I actually had the trainer at Petco ridicule me for looking at them. He said if I trained my dog, she wouldn't need it and I should but her a halter instead. Ugh...I wanted to but a halter on his face. Too funny! Ed does OK now without it, but if he gets revved up or majorly distracted, he falls apart, so we like having it for "just in case" moments. 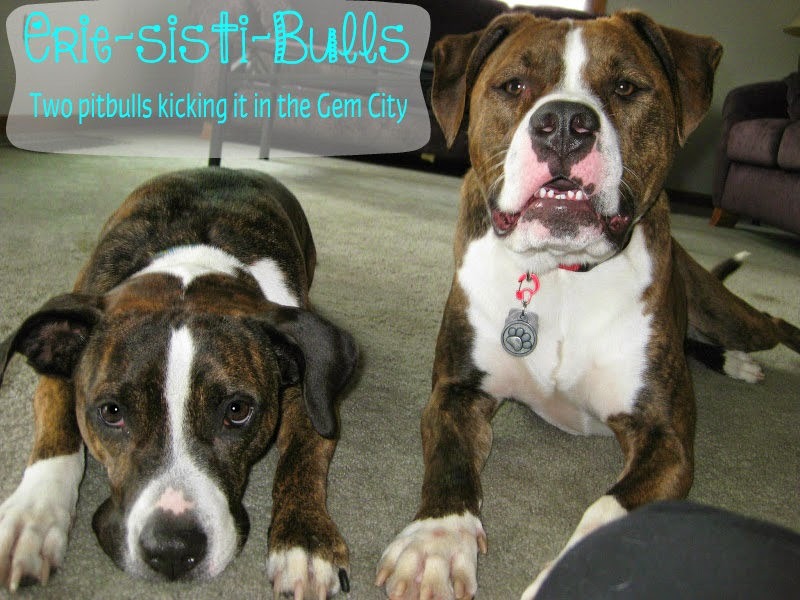 I had (and currently have) the same issue with my pittie girl! 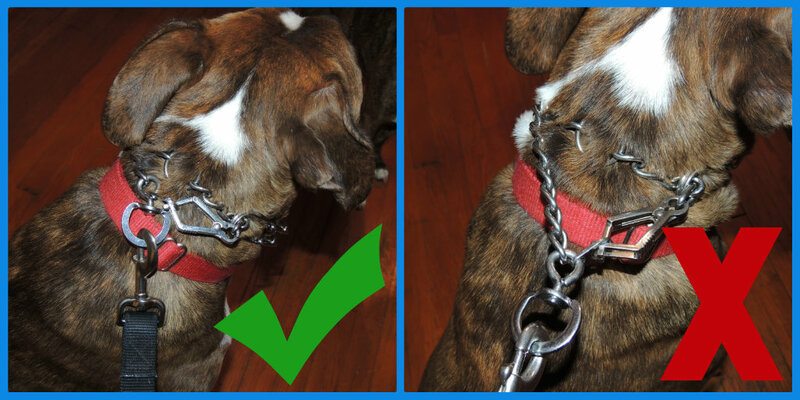 During one of our obedience classes the trainer asked if we would like to try the prong collar. I was desperate as we had already gathered quite a selection of different collars/harness' and nothing had worked. The moment the collar went on, I had a different dog! She immediately calmed down and walked like a lady. I think each dog is different and what works for one, may not work for another. Such a good point, you definitely have to listen to your dog and to what you are comfortable with. I had the same experience. Mine has a collection of collars as well. The minute the prong collar went on he was a new dog. I can now usually walk near other dogs with just a "jingle" of the collar to remind him. So nice to have control as well and not be dragged across the road or onto the ground. We hear ya Lisa! Ed isn't that controlled yet, but we're getting there. It has hugely helped with the pulling! Braylon works awesome on a no-slip collar. Hades is our walking problem child. A Halti caused him to rub his face raw on the sidewalk despite our knowledge of using the tool successfully with other dogs. He now walks with a prong collar. I had been hesitant to use one for fear it would make him look "tough" which is the opposite of our goal but it works so well I had to let go of that. We haven't tried a backpack but I'd like to. Braylon is like our Tess - she has never been bad, just needed direction. We were hesitant, too - for mostly the same reason. I totally, agree...it's so much better for the image to have a controlled dog. 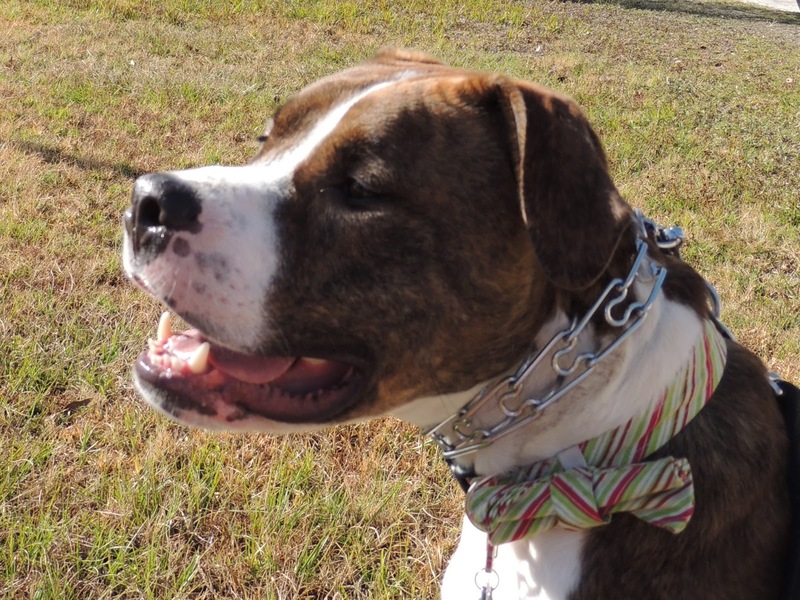 I volunteered at a shelter in college - we used bandanas to cover up the collars to avoid the "tough" stereotype!